Trained from a young age in the arts of death and deception, Natasha Romanoff was given the title of Black Widow by Ivan Somodorov, her brutal teacher at the Red Room, Moscow's infamous academy for operatives. Ava Orlova is just trying to fit in as an average Brooklyn teenager, but her life has been anything but average.The daughter of a missing Russian quantum physicist, Ava was once subjected to a series of ruthless military experiments until she was rescued by Black Widow and placed under S.H.I.E.L.D. protection. 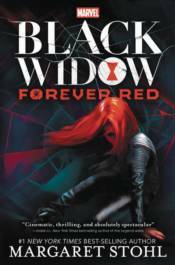 Ava has always longed to reconnect with her mysterious savior, but Black Widow isn't really the big sister type. Until now. Natasha suspects her old teacher has returned - and that Ava Orlova might be the only one who can stop him.